McKinney, Texas – In the spring of this year, McKinney ISD received the NAMM Best Communities for Music Education award for the second year in a row, and we heard from an educator and two students about the vital role that music had played in their lives. 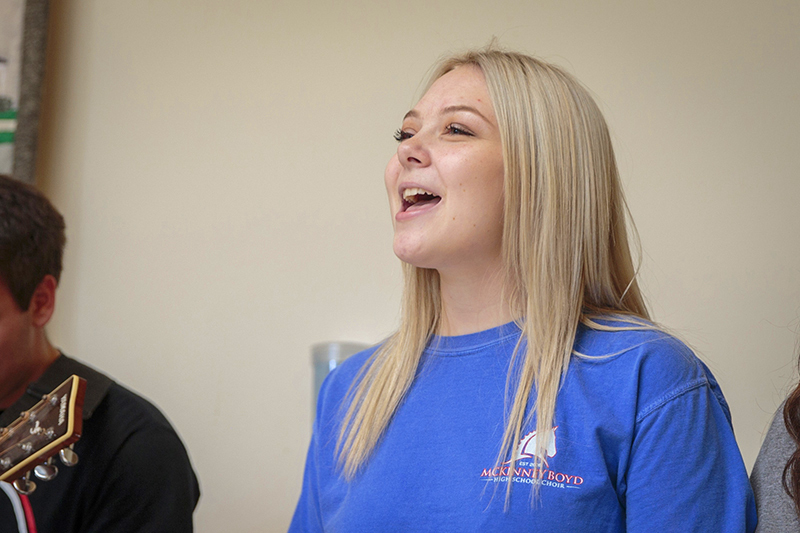 For this second installment of our two-part story about the positive impact of music education in McKinney ISD, we spoke with 2018 graduate and four-year McKinney Boyd all-state choir member Kylie Shelton and her fellow 2018 graduate and choir student-director Reese Lastrapes. We also visited with recently retired Scott Johnson Band Director Paul Stephens as he reflected on 34 years in music education. The common thread through it all…music education matters. Kylie Shelton has been surrounded by song since as far back as she can remember. Singing just always came naturally to her. “When I was little, I always loved singing in the car…and I just wanted to learn more and discover new things with it,” she said. When Kylie was a fourth-grader at Glen Oaks Elementary, the school started an after-school choir program, and she wasted no time in getting her name on the sign up sheet. 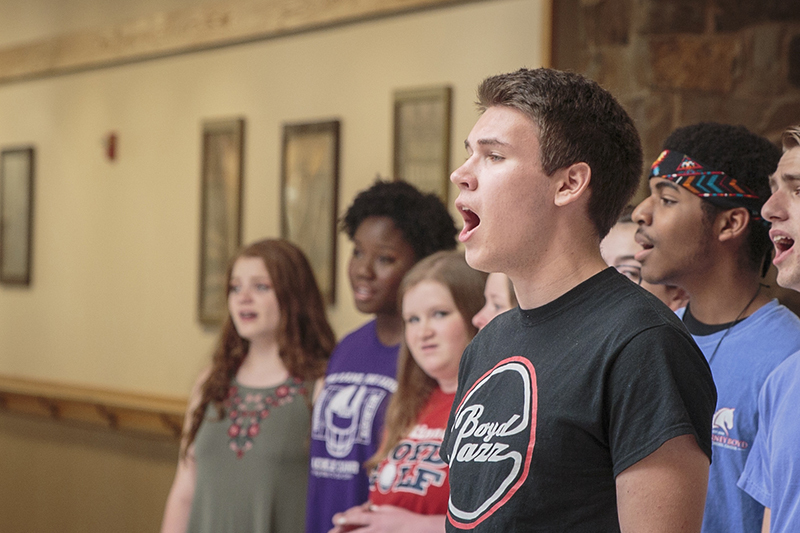 Reese Lastrapes grew up in a musical family, but coming up through the ranks of small private and charter schools, he did not take part in formal choir education until his freshman year at McKinney Boyd. Reese estimated that his entire elementary school grade level was made up of only about 20 students. In middle school that number jumped to about 100. But, walking into a high school of more than 2,500 students—with about 700 in Reese’s freshman class—was a completely different world. Kylie and Reese both touched on a theme that one might hear echoed by virtually any choir, band or orchestra student in McKinney ISD—the theme of community. “Memories are made here that we’ll remember forever,” added Reese. Kylie will pursue vocal performance at the University of North Texas, while Reese is tackling a different route. “I’ll be going to Texas A&M to major in physics and go pre-med to hopefully become a trauma surgeon,” he said. For both, life without music would have been very different. For Reese, “It gave me meaning in high school. Growing up I didn’t have much to do. I tried baseball. I tried a few other things. I did a few triathlons—but in music, I just found a home,” he said. Last spring, Paul Stephens stood in the doorway of his office in the Scott Johnson Middle School Band Hall and pondered the few days of school that remained before his retirement arrived, and the final notes rang out on 34 years in music education. The band hall was empty, but in a few minutes, lunch would end, and it would be bustling once again with middle schoolers and the you-learn-to-get-used-to-it sounds of all of them warming up on a myriad of instruments and playing a multitude of musical sections all at the same time. Stephens seemed to be born for the job. His father was a band director, and that helped stoke his passion for music, but perhaps the most pivotal experience came at age 10 when composer Don Gillis heard about—and then took the time to attend—Stephens’ home production of Gillis’ opera “The Nazarene” that young Stephens produced, directed and performed with a handful of friends whom he had recruited—and taught—for the effort. “I was hooked at that point, but I told my dad, ‘This would be a lot easier if I could read music instead of just the words. Then, I could teach this better. And, he said, ‘Well, I’ll teach you the trumpet.’ So, that’s when we started. He taught me the trumpet,” Stephens said. Logically, he would make his way to the school band. And, he never looked back. That passion translated into a long career, and it would be nearly impossible to calculate the impact Stephens has had on 34 years’ worth of students. “I’ve seen it across the spectrum, from students who had a lot of trouble in their life and had a lot of trouble in band—had a lot of trouble in school in general—but then later would come back and tell me that band basically saved them,” Stephens said. Other students took to band much the way Stephens had, and one of them, Stephens said, is now the executive director of the Harmony project in Los Angeles which seeks to put musical instruments in the hands of impoverished children. As one might expect, Stephens had much to say about the benefits of music education. “The main thing to me is that music is all encompassing,” he said. “You’re using the body, the mind and the soul, and when you have something that touches every aspect of learning, every aspect of being a human being, it can’t help but have a huge impact. “There are the discipline and family aspects of it,” he continued. “Instrumental music requires delayed gratification. You can’t just pick it up. You have to work at it. You can’t just Google how to play a saxophone and then be able to do it. You have to work it out with sweat equity. It’s one of the last things we have that requires structured discipline over time. “Then also, when you’re playing in a band, orchestra or choir, you’re part of a whole, and you cannot do anything on your own. Everything has to be done as a unit. It’s a family, and you have a common goal and a common love and common bond in creating. “All different kinds get into that, and your individualism adds to the mix — but it’s not the mix. You are part of the whole,” Stephens said. And, he has been a part of all of that for a very long time. As he considered his approaching retirement, Stephens said that the enormity of it had not really sunk in completely. “I was just thinking about that this morning,” he confided. “I was thinking how I’m getting ready to go to school again, and I haven’t really thought about the fact that, pretty soon, it won’t be that way—so, it will be a strange adjustment. But, I’m going to stay active; I’m going to teach private lessons. If I totally walked away from teaching and from music, that would be too much of a hole in my life. 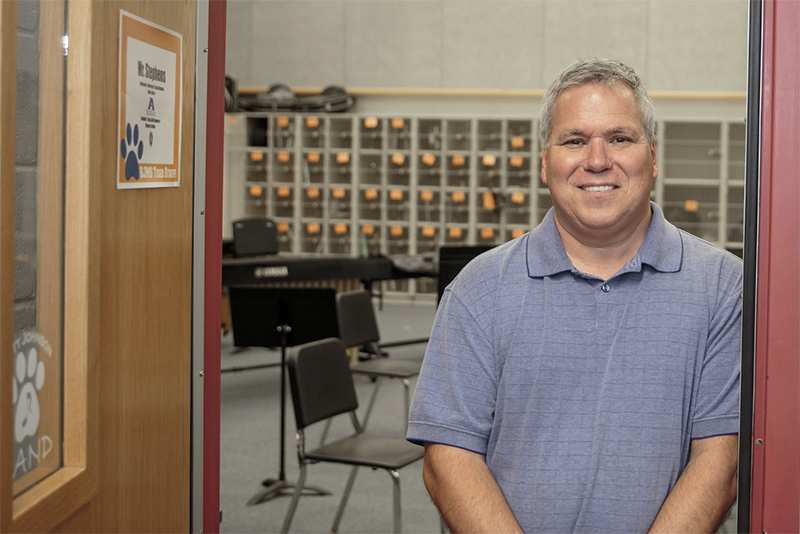 I want to still have some interaction with students and to teach—but just not have all the day-to-day responsibilities of a being a band director,” he added with a smile. Whether it’s part of a lifelong career, the obsessive pursuit of a 10 year old or the joy of a fourth grader belting out songs in the car, music touches so many parts of our lives. It’s a powerful force—and it matters.